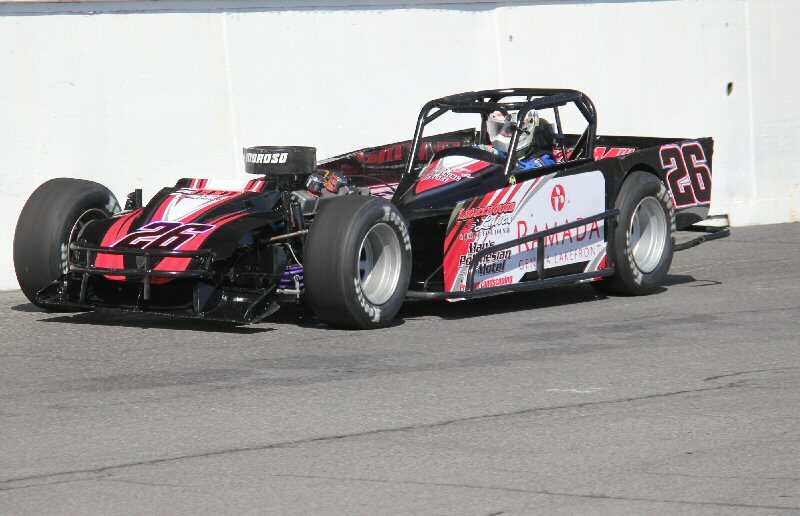 OSWEGO, NY – When one thinks about the Pathfinder Bank SBS Series at Oswego Speedway there is likely one driver’s name that comes to mind first; Mike Bond. In many ways Bond has become the face of the division as he leads the All-Time point standings in the series and is tops in the division with 26 career feature wins. While some may look at Bond as a lifer in the SBS division, he looks at himself as a lifer at Oswego Speedway. While Oswego Speedway was always the goal for the Bond racing family which includes Mike’s brother Bob, the 2010 Budweiser International Classic 200 champion, the start actually came in dirt racing. After making the step to the Speedway in the Limited Super class and finding victory lane in three consecutive seasons from 1996-1998, Bond was called up. In 1999, Tim Proud called upon Bond to drive his No. 22 Page Chassis Supermodified and Bond answered the bell. Driving for Proud, Bond would finish the 1999 season 9th in the overall standings in a year which 55 Supermodified drivers earned points. By season’s end Bond was crowned Rookie of the Year for 1999, and would end the season with a 23rd place finish in his first Budweiser International Classic 200. Quite the year-long accomplishment for a humble dirt street stock driver. Bond had no issue proving himself, as from that point on he would become one of the more decorated drivers for hire in the Speedway pit area. After a season in the seat of the Proud No. 22 Supermodified Bond would make the return to the Limited Super ranks, and eventually would find himself in the seat of the Lisa Laurent owned No. 01. It was in that ride in 2002 that Bond truly came into his own and started an unprecedented streak of success in the now SBS division. A feature win and a second place finish in the 2002 standings behind Mark Regan kicked off a three-year stretch of dominance. The next season Bond would move over to the seat of the Gregg Davis and Mike O’Connor No. 90. In 2003 and 2004 Bond would earn consecutive Speedway track championships with five feature wins including back-to-back SBS Classics and the 2004 Mr. SBS crown. After two more feature wins in the 2005 season and a 6th place finish in points in 2006, Bond seemed to be on the verge of retirement. After all, what else did he have to prove? But during the winter of 2006 Bond caught his second wind, and what a stiff breeze it was. During the ’05-’06 seasons, Terry Solazzo came onto the scene in the SBS division as a car owner to Mike Barnes. Barnes would go on to win three feature events driving for Solazzo, including the 2006 Mr. SBS title. Over the off-season it was announced that Barnes would move to the Supermodified division for Double Deuce Racing, leaving a seat open in the Solazzo No. 26. Since 2007, Bond has won 12 Pathfinder Bank SBS series feature events, including the 2009 SBS Classic and last season’s overall championship. Despite all the success, Bond still remains humble in his accomplishments. As far as 2012 is concerned, Bond believes the competition will be as stiff as ever. Despite a rough outing on opening night at the Speedway, Bond will look to bounce back at the next event on Oswego Speedway’s racing schedule which is the Mitchell’s Speedway Press Memorial Day Weekend Tripleheader on Saturday, May 26 featuring the Novelis Supermodifieds, Pathfinder Bank SBS Series, and the Race of Champions Modifieds.